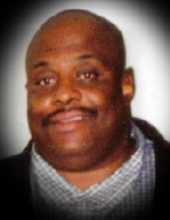 Celebrating the life of Gregory R. Aikens, Sr. "Mickey"
Obituary for Gregory R. Aikens, Sr. "Mickey"
On Thursday, March 14, 2019, Gregory R. Aikens, Sr. "Mickey" departed this life at his residence. Born on August 6, 1958, in Vineland, New Jersey, he was a son of the late Rudolph Roland, Sr. and Edna Mae Pitts Aiken. A service celebrating his life will take place on Saturday, March 23, 2019, at 2:00pm from the Fleming & DeLaine Chapel, 222 West Boyce St., where Father Denmon Isgett, Pastor of the St. Mathias Episcopal Church, Summerton, shall bring words of hope. The family is receiving relatives and friends at the residence, 15735 Panola Rd., Pinewood, SC. To send flowers or a remembrance gift to the family of Gregory R. Aikens, Sr. "Mickey", please visit our Tribute Store. "Email Address" would like to share the life celebration of Gregory R. Aikens, Sr. "Mickey". Click on the "link" to go to share a favorite memory or leave a condolence message for the family.